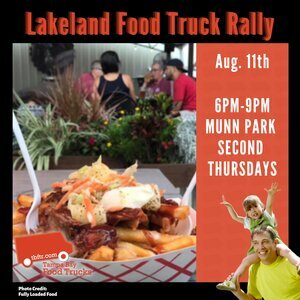 Join us for the DOWNTOWN Lake Wales Food Truck Rally fourth Saturday of the month. Our next rally is on September 22nd from 4pm-8pm. Enjoy a wide range of Food Trucks, DJ, Family Karaoke, Vendors and Beverages in the heart of the community, DOWNTOWN! Many shops in downtown will be open. Stop in, shop local and show your support.